Margot Robbie has shared her first look like Harley Quinn in the upcoming 'Birds of Prey (And The Fantabulous Emancipation of One Harley Quinn)'. The 28-year-old actor, who reprises her 'Suicide Squad' breakout character in the female-led film, took to Instagram to post the photograph. 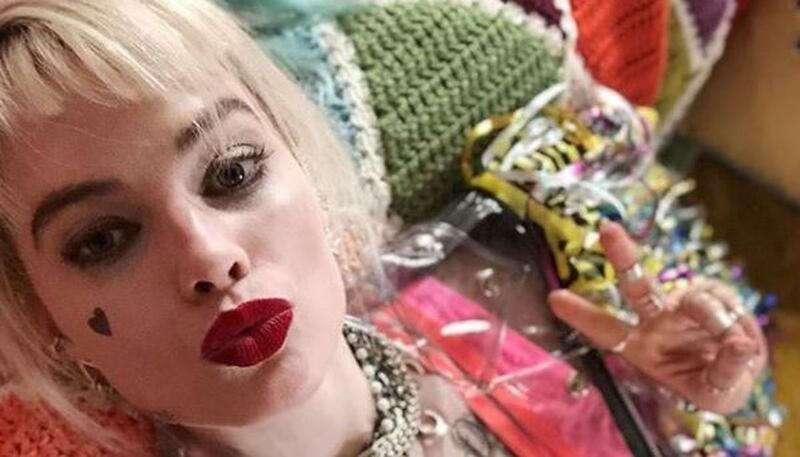 Margot Robbie has shared her first look like Harley Quinn in the upcoming 'Birds of Prey (And The Fantabulous Emancipation of One Harley Quinn)'. The 28-year-old actor, who reprises her 'Suicide Squad' breakout character in the female-led film, took to Instagram to post the photograph. "Miss me? HQ," Robbie signed the picture as her on-screen character. Cathy Yan is directing the film from 'Bumblebee' writer Christina Hodson's script. The movie also features Mary Elizabeth Winstead as Huntress, Jurnee Smollett-Bell as Black Canary, Ella Jay Basco as Cassandra Cain and Rosie Perez as Renee Montoya. Ewan McGregor is the latest addition to the cast who stars as Black Mask, the villain. According to The Hollywood Reporter, the film will follow Quinn as she "assembles a girl gang of friends to take on a bad guy". Robbie is also attached as producer, along with Sue Kroll and Bryan Unkeless. 'Birds of Prey' is scheduled to be released on February 7, 2020.